This website is owned and operated by Glamour Nest Inc., a California Corporation. Our principal place of business is located at 15030 Ventura Blvd. #585 Sherman Oaks, CA 91403. You must be at least sixteen years of age to use our website. Use of this website is at your own risk. We host our site on a reputable platform and take reasonable efforts to maintain and host the site. However, we make no explicit representations or warranties as to the safety or your individual use of the website. The Terms and Conditions contained on this page are subject to change at any time. 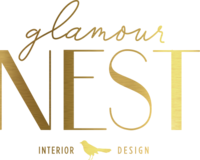 All images, text, designs, graphics, trademarks and service marks are owned by and property of Glamour Nest Inc., or the properly attributed party. It is a violation of federal law to use any of our intellectual property in whole or in part, and modification of any materials contained on this site is illegal and may be prosecuted to the fullest extent permissible should we choose to do so, including asking for financial penalties (damages) and/or an injunction forcing you to stop using our intellectual property immediately. Personal Data: Personal Data is information that can be used to identify you specifically, including your name, shipping address, email address, telephone number or demographic information like your age, gender, or hometown. You consent to giving us this information by providing it to us voluntarily on our website or any mobile application. You provide some of this information when you register with or make purchases from our website. You may also provide this information by participating in various activities associated with our site, including responding to blogs, signing up for our newsletter, contacting us with questions, or participating in a group training or webinar. Your decision to disclose this data is entirely voluntary. You are under no obligation to provide this information, but your refusal may prevent you from accessing certain benefits from our website or from making purchases. 16. Analyze trends to improve our website and offerings. 4. Data that you provide us in the course of using our products or services. We use a website developer located in Italy which has received an Adequacy Determination from the European Commission, meaning that appropriate safeguards are in place to protect data once it is transferred to that country. Update Account Information: You have the right to update or change any information you have provided to us. To update or delete your information, please contact us at customerservice@glamournest.com. Emails And Communications: You may opt out of receiving future email correspondence from us by declining to check the appropriate box when you register for the account or make a purchase. 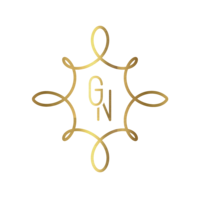 You may change your communication settings contacting us at customerservice@glamournest.com or unsubscribing from our email list at any time. Marketing Communications: You may opt out of receiving any third party marketing communications or having your personal information used for marketing purposes. You may do this by contacting us at customerservice@glamournest.com or unsubscribing from our email list at any time.